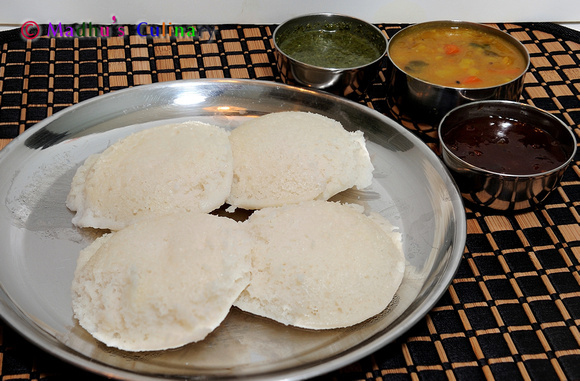 Kuzhi Paniyaram ->Suvayo Suvai | Simple Vegetarian Recipes, Easy to prepare and healthy to eat! 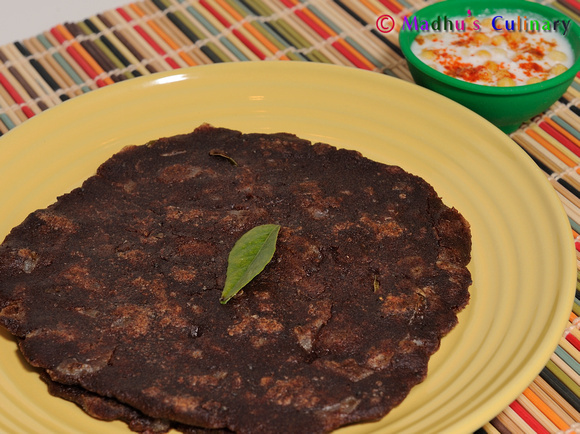 Kuzhi Paniyaram is one of the healthy breakfast/ dinner dish which is losing out the fast foods craziness and our laziness. 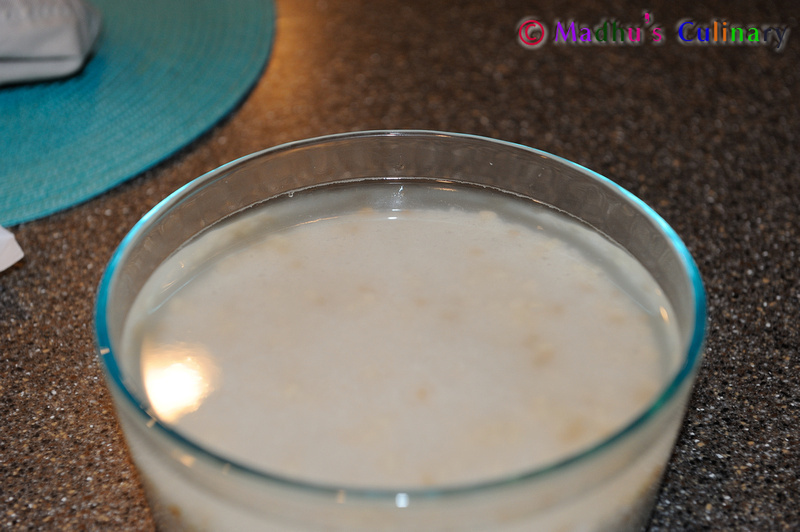 It’s one of the traditional recipe and must be tasted. Wash all the ingredients and soak it for 3 hours. Grind it using grinder until smooth consistency. 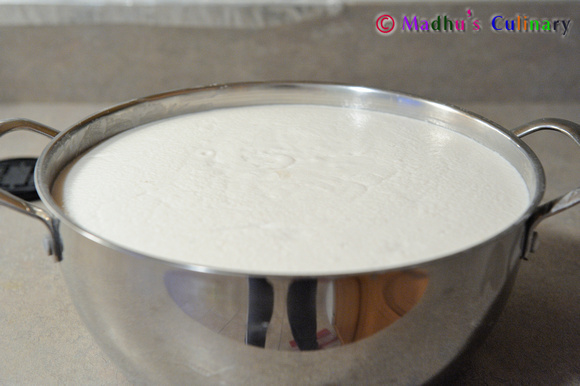 The batter should be like Dosa batter. Ferment it for 15 hours. 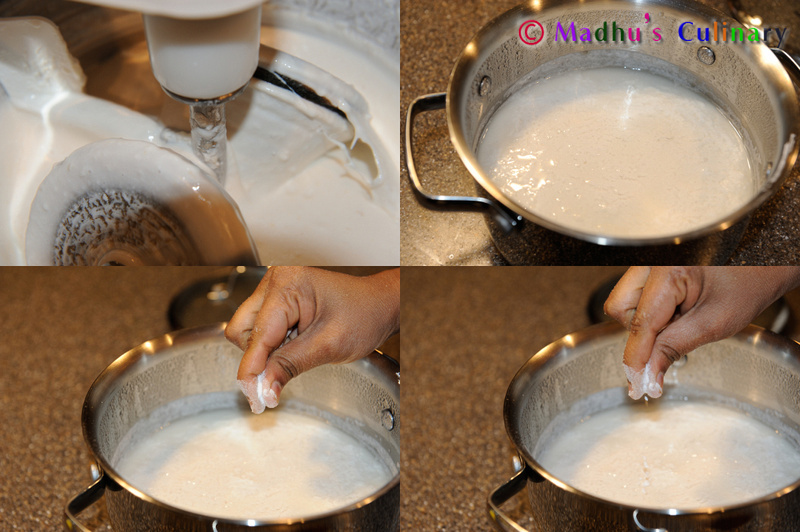 It should be little sour than the Dosa/Idli batter. Add the baking soda powder and mix it well. 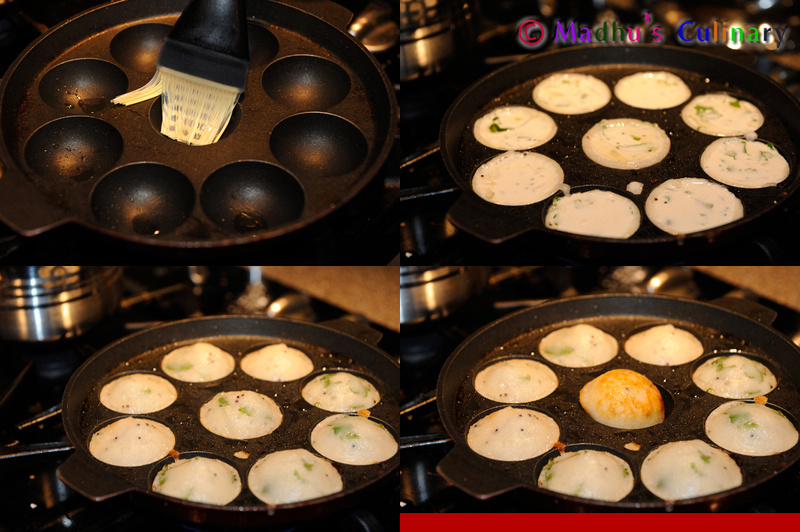 You have to separate the batter into two equal parts – one for Sweet Paniyaram and other for the Spicy version. Take a heavy bottom pan and add all the ingredients and switch on the stove. Let the Jaggery melt and mix it often. Let it boil until you can see the foam on the top. Switch off the stove. Strain the impurities. Pour it in the batter (the half kept for the sweet version). Mix it well. 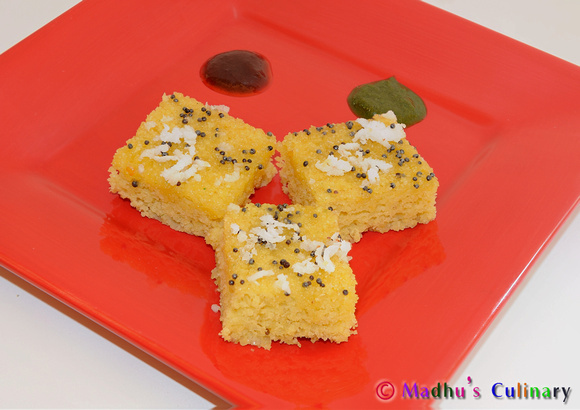 Take the Kuzhi Paniyaram Kadai, sprinkle some oil. Pour the sweet batter and cover it with the lid. Cook it in the medium flame. Cook it until it gets golden color. Turn it to other side, cook it until golden color. Take it out. 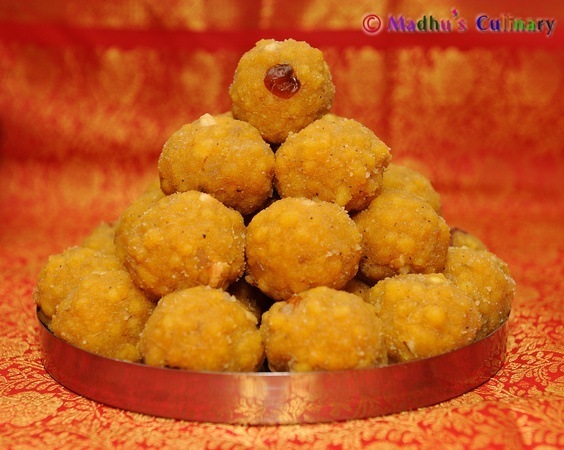 Enjoy the yummy Sweet Kuzhi Paniyaram. Heat the oil in the Kadai and dd mustard seeds. 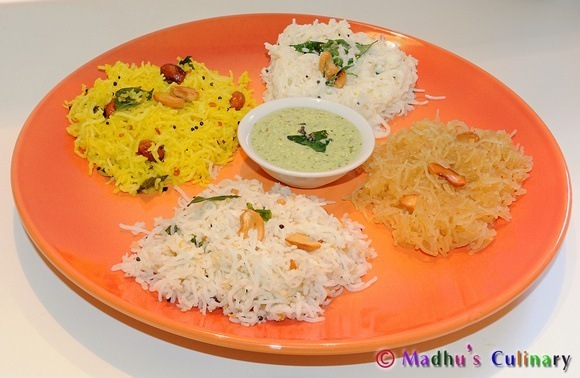 When it splutters, add Urad dal. When its golden color, add the chopped green chili, curry leaves and mix it well. 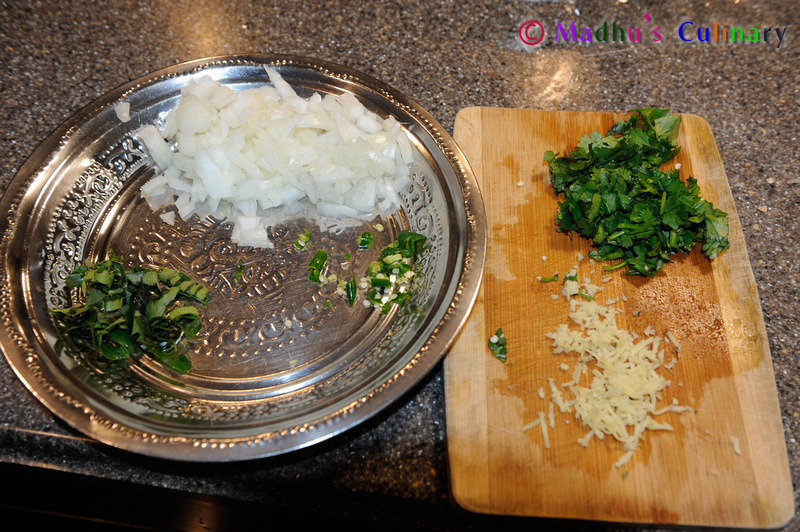 Add the chopped onion and add little salt and mix it well. Cook until translucent. Now mix it with the batter. If needed, add salt in the batter and mix it well. 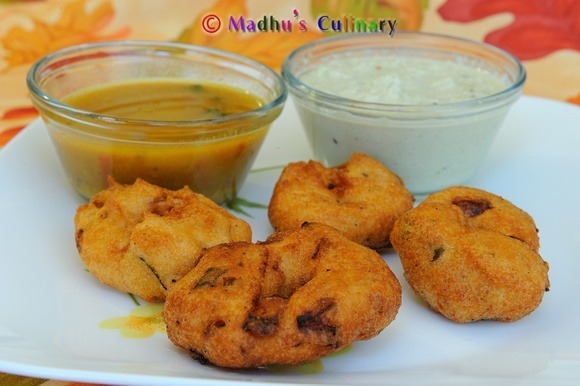 Take the Kuzhi paniyaram kadai, sprinkle some oil, pour the batter, cover it with the lid. 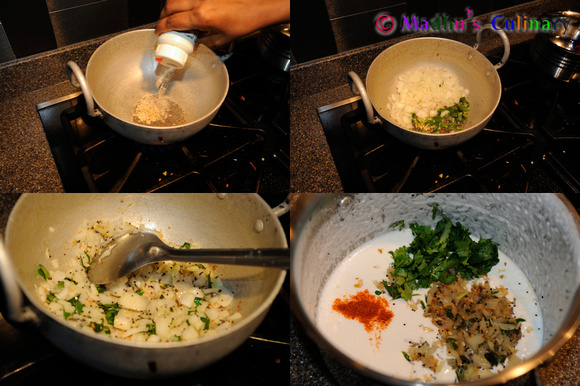 Cook it in the medium flame and cook it until golden color. Turn it in to other side and cook it until golden color. Take it out. 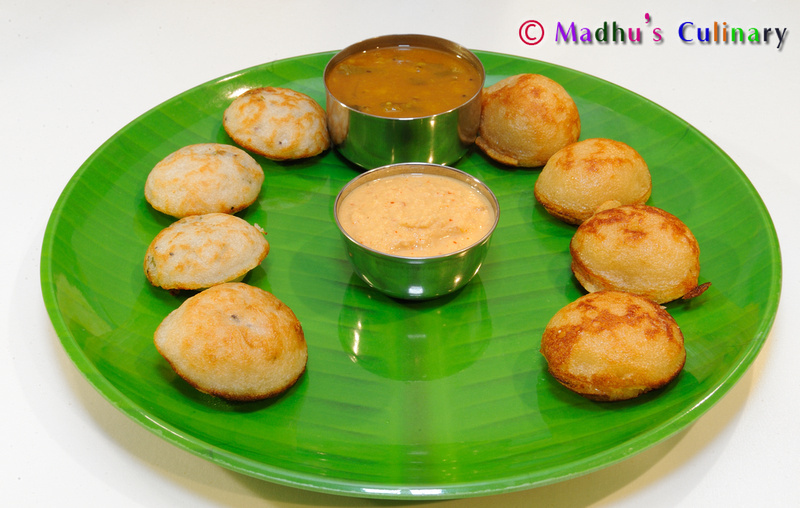 Enjoy the yummy Spicy Kuzhi Paniyaram with chutney!